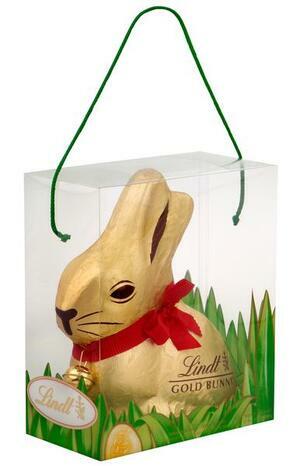 Specifically, do you fancy a 1kg Lindt chocolate bunny worth half the Household Charge? Delivered to your door? Well, we have one to give away. Greediest Most deserving entry wins. UPDATE: Thank you all. Winner selected tomorrow (Thursday) and notified by email. A Valentine For Left-Brained Lovers Anyone Fancy A Salted Caramel, Peanut And Chocolate Tart? Name That Chocolate Bar Too Soon? Posted in Misc and tagged chocolate, Lindt at 3:15 pm on April 4, 2012 by Broadsheet.